Without being too cheesy, this post is a bit of a love story. A whole lot of love between people. 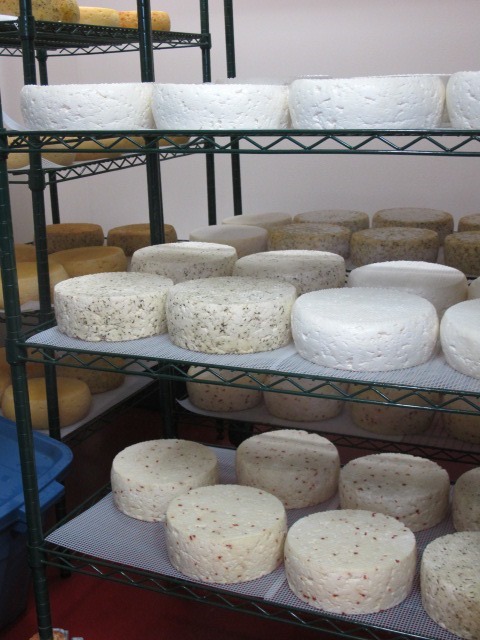 A whole lot of love of artisan wine and hand-crafted cheese. Forgive my romanticism, if you’d like, however, I’m sticking to my story and it’s a bit of a fairy tale unfolding. Once upon a time, a talented young woman (Shana) born in Nova Scotia, Canada decided to explore career options. 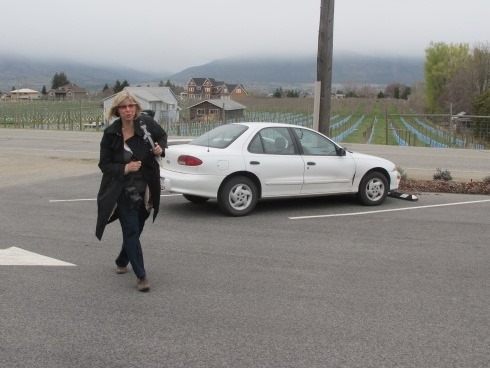 She spent time working in Montreal and then was drawn to Penticton to visit her Aunt. 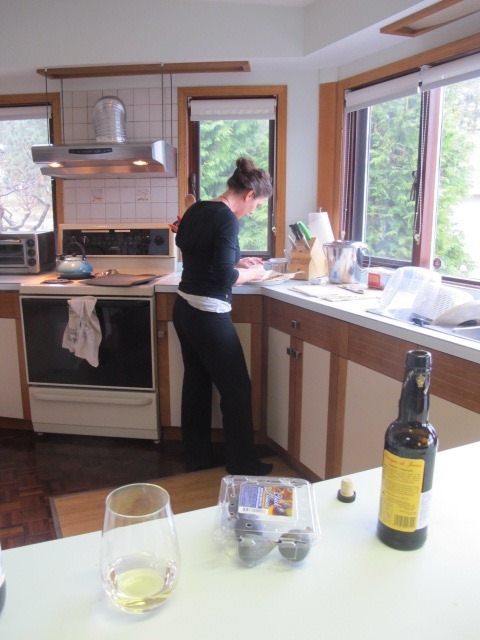 She ended moving with her five cats across the country and settled into a rental at the original Poplar Grove Winery site. 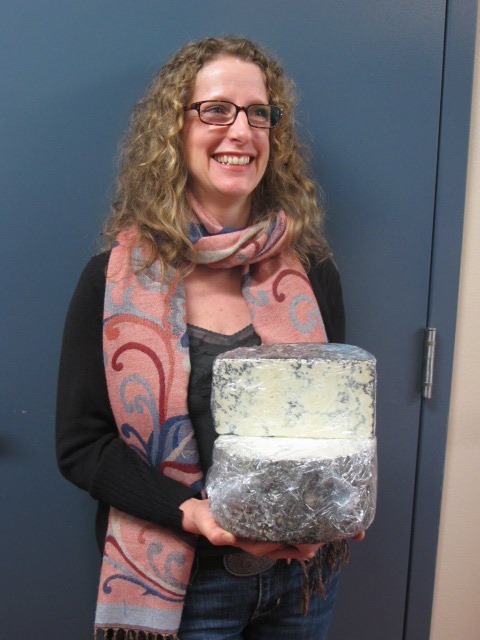 She found herself working there and developing her skills in cheese making with the original Poplar Grove Cheese artisan Sandra Chalmers. As fate would have it, a young man (Gavin Miller) born in the United Kingdom came on a vacation to Penticton in 1995 and met the lovely and talented Shana. Smitten, the two soon married and moved to London. It was partly due to their dedication to homebirth because London was more progressive in seeing that as a natural process. Today, son Max is in Grade 11 and proficient in cheese cutting and daughter Chloe is in Grade 9. The pull of Penticton, the magic of Naramata bench, put a spell on them and they returned to the Okanagan in 1997. 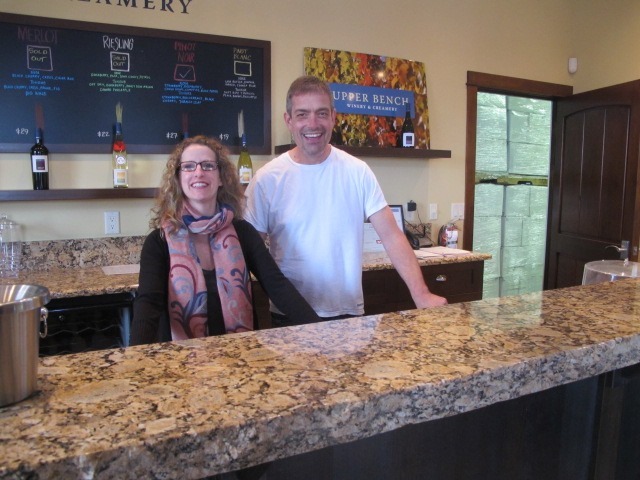 For Gavin, the wine industry had particular allure and he studied at Okanagan College, first working in the vineyard at Lake Breeze Vineyards, the cellars at Hawthorne Mountain Vineyards, and the tasting room at Sumac Ridge Estate Winery. 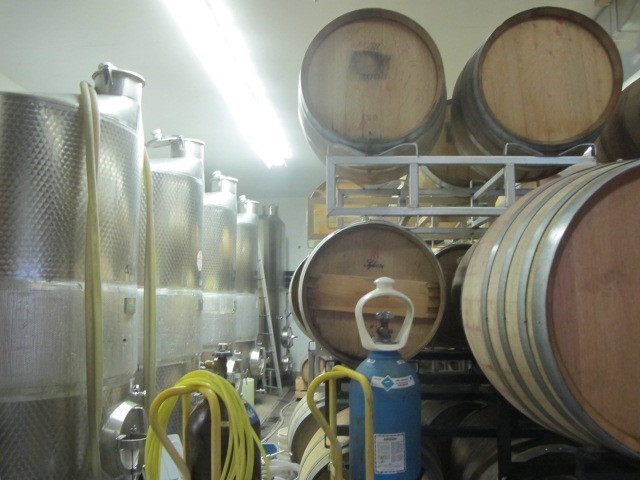 The siren call of winemaking summoned him first at Poplar Grove and then to award-winning success at Painted Rock Estate Winery. 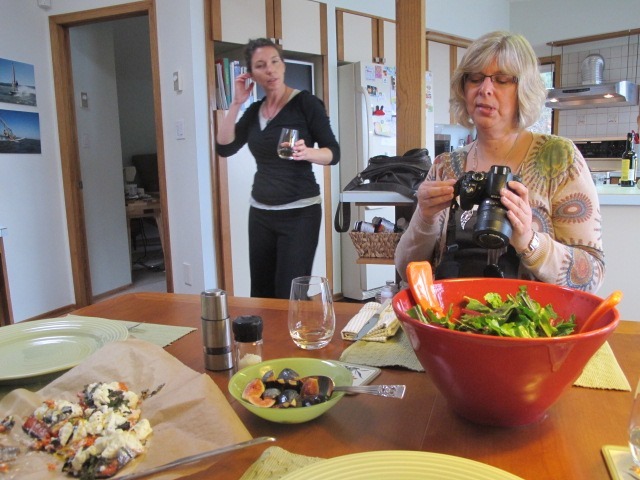 Did I mention there is also love of British Columbia’s fruits? 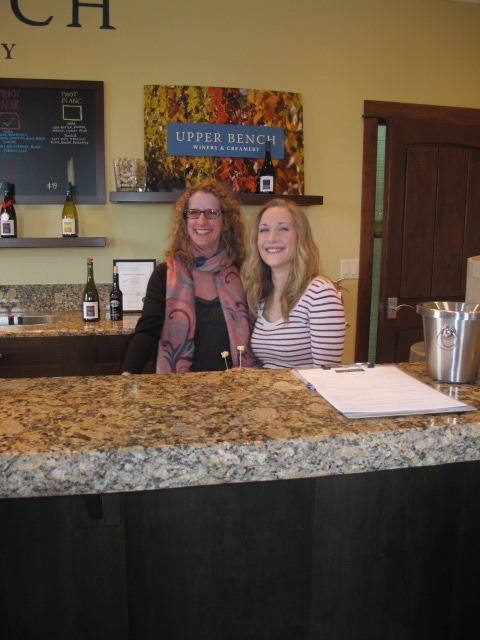 In the summer months, not only can you sip on great wines and nibble exceptional cheeses, Wayne’s daughter Tessa Sjöblom (who handles marketing and administration for the winery) offers Tessa’s Tree Fruit on site so you can pick up fresh fruit as well. Fair warning though that once you’ve had a taste, you’ll fall under the spell, and want the magic to continue. 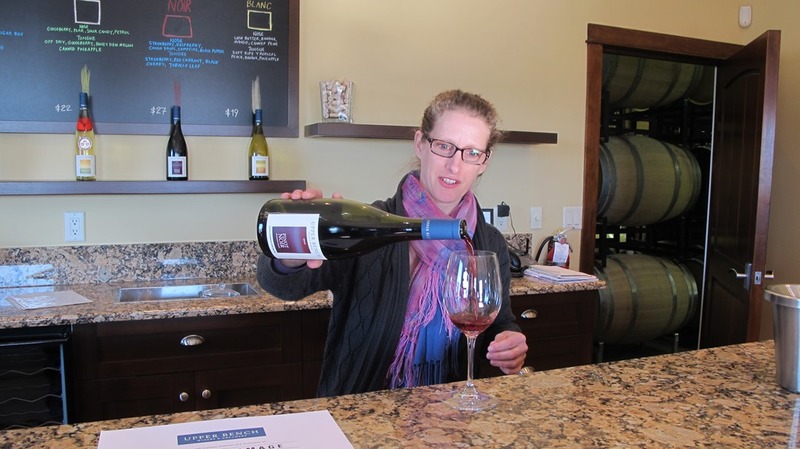 Just ask Jennifer Schell, a talented local writer and champion of local farmers, chefs, winemakers and other artisans. When she heard about the amazing 20th anniversary initiative of the remarkable ACE Bakery, she urged Shana to submit a profile. The Artisan Incubator is ACE’s celebration of “artisan food, the importance of local and sustainable food producers, and the vital contribution of artisan entrepreneurs to communities across Canada”. 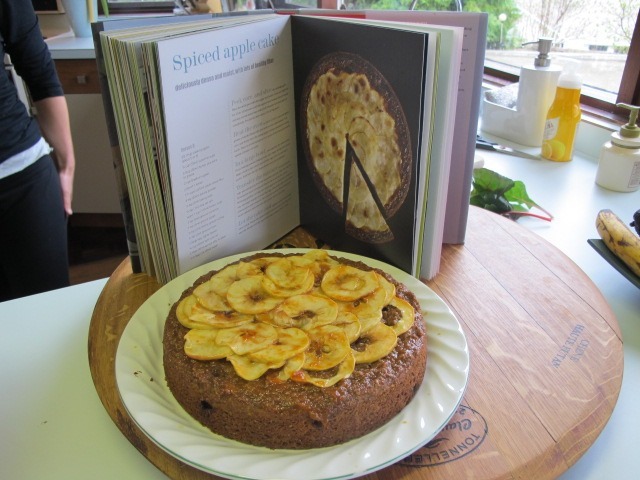 And those inspiring folks at ACE along with their Tastemakers (a team of brilliant artisans, chefs, authors and otherwise notables in the culinary world) also succumbed to the spell. Shana is one of the 20 selected artisans to be “recognized at a June showcase, promoted nationally and have the opportunity to share in the insights ACE has gained over the last 20 years”. Oh yes, and what fairy tale is complete without adding a wizard or two? 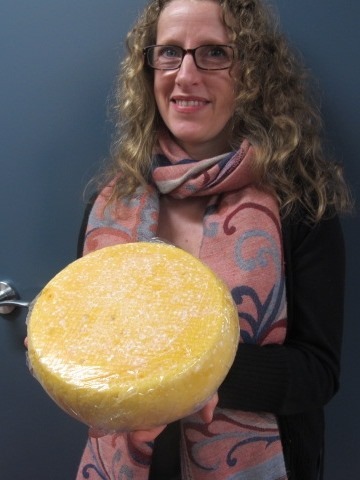 Shana will also get to work with another of our Okanagan favourites – Chef Mark Filatow, Waterfront Restaurant & Wine Bar, to develop recipes for the cheese she selected as part of the Artisan Incubator showcase. 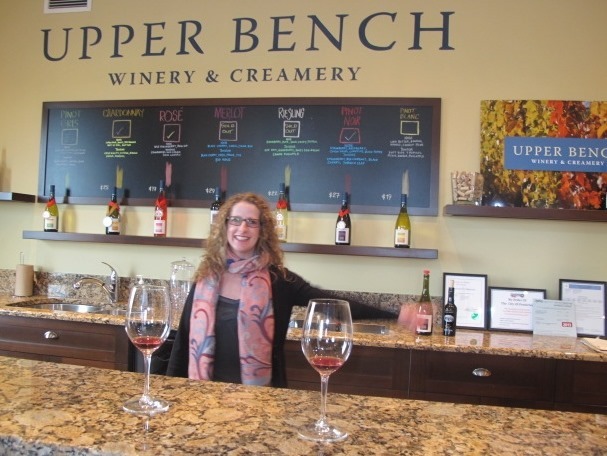 I have thoroughly enjoyed all of the wine and cheese from Upper Bench. Personal favourite pairings are the luscious Pinot Noir with the bold blue King Cole and the buttery Chardonnay with the creamy Gold collection. 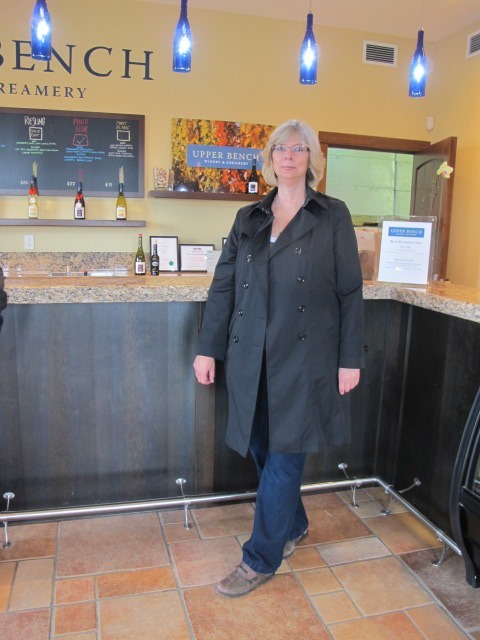 My most recent visit was with my food-blogger friend Val Harrison on a cool spring day before we were treated to a tantalizing lunch by another member of our informal Chicks Who Wine group, Jennifer Cockrall-King (foodgirl.ca). Check out the list on the website for the delightful slate of options. Passionate about their craft, each other and their family and friends, they are always perfecting their products and making new creations when it makes sense. 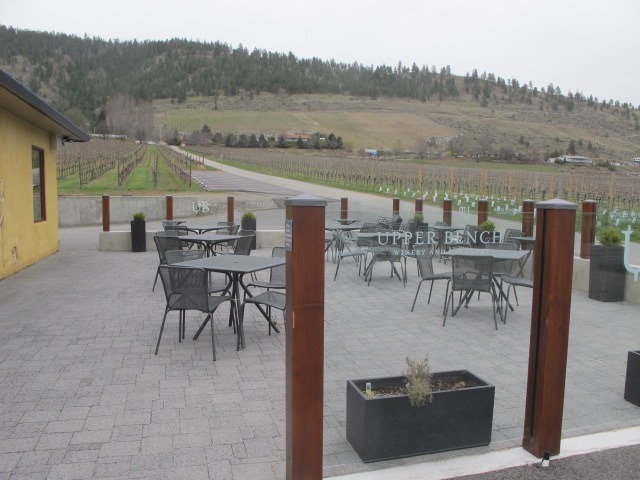 Lucky for me, Upper Bench Winery and Creamery is another of the spectacular wineries of the Naramata Bench Wineries on my way home. 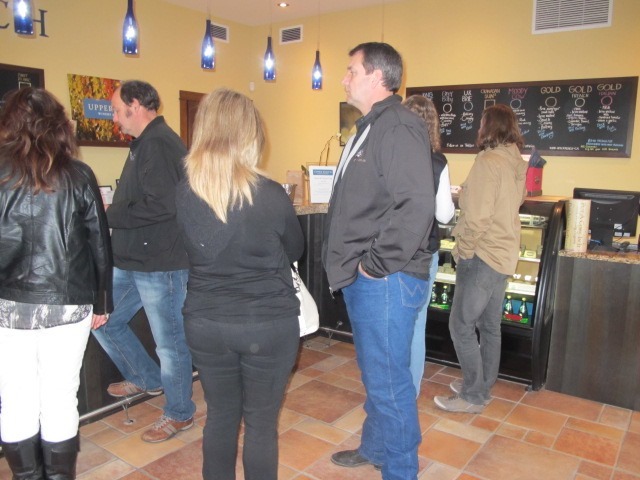 Even if Shana, Gavin or Tessa are busy, you might get served by a princess such as the cheerful Andrea Duckett. 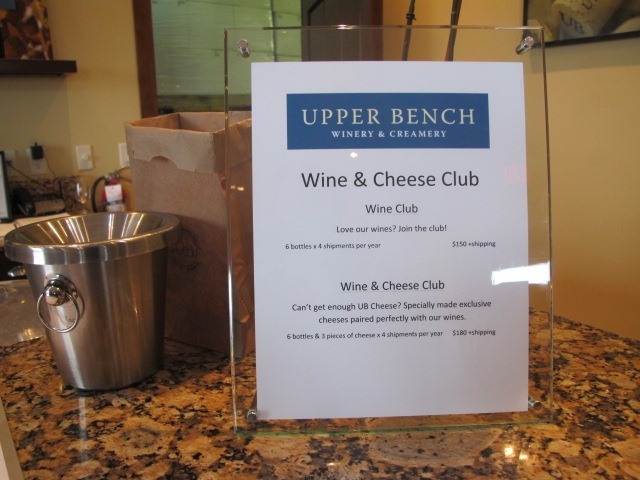 Did I mention there is a Wine and Cheese Club you can join? 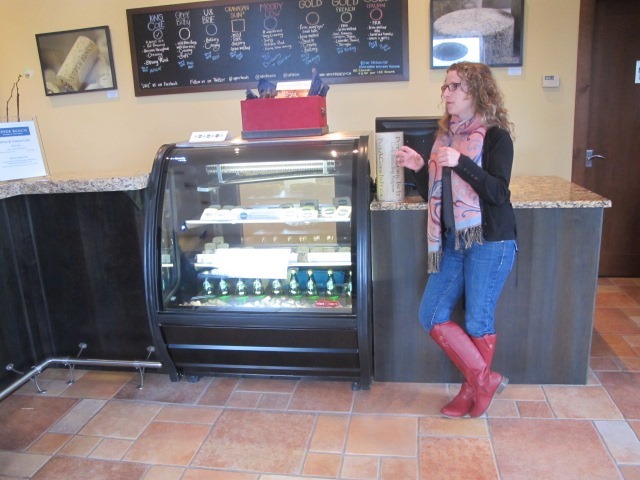 This entry was posted in BC Wineries, BC Winery Each Week, Beverages, Culinary supplies, Family, Food, Joy, Learning, Lifestyle, Restaurants, Wine and tagged #wbc13, ACE Bakery, ACE Bakery Incubator, artisan, artisan producers, balance, BC wine, cheese, cheese making, chefs, food, food suppliers, learning, learning lifestyle, Naramata Bench Wineries, Naramata Bench Winery Association, Okanagan, Penticton, Recipe, restaurants, travel, Upper Bench Estate Winery, wine, Wine Bloggers Conference, write, writing workshop. Bookmark the permalink. What a nice story. Thanks for penning it. Thanks, Steve, that means a lot coming from a gifted writer. this is such an amzing ghost story!